Short answer- No, an FBA SKU cannot be an alias SKU on Zentail. 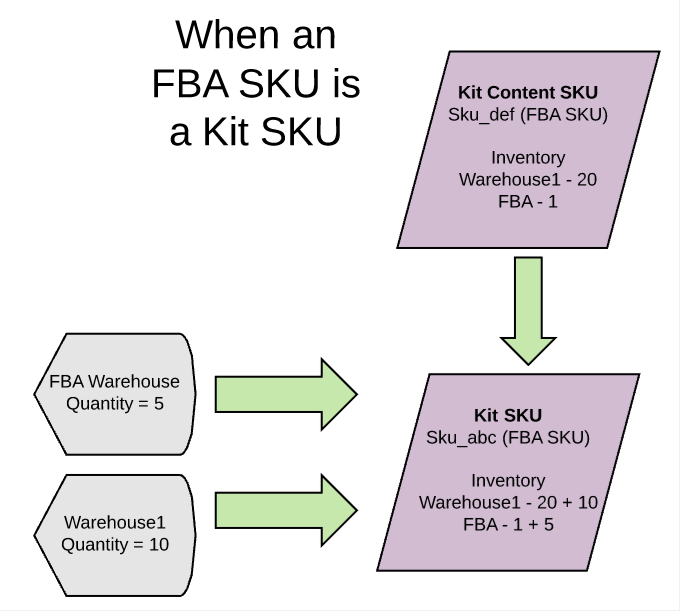 But you can still have an FBA SKU infer its inventory from another SKU by making it a Kit SKU on Zentail. 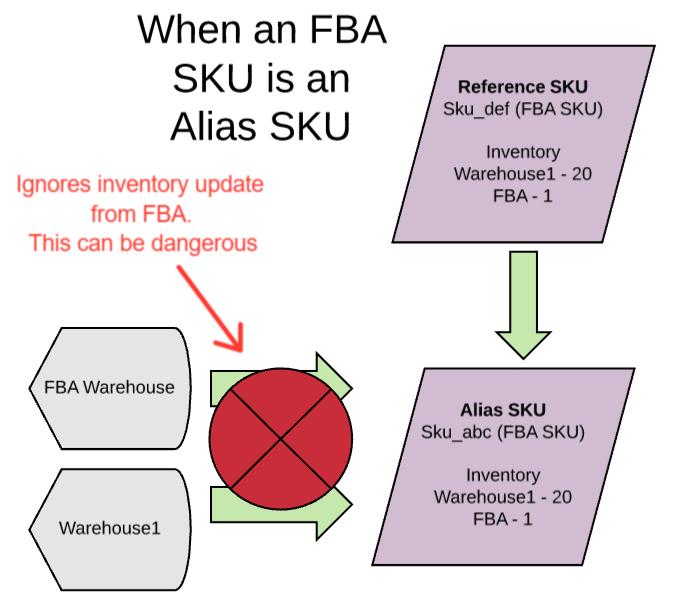 An Alias SKU infers its inventory from another "reference" SKU on Zentail. This cuts off inventory updates from any outside source/integration. An FBA SKU needs to be updated by an outside integration (Amazon). Thus, it cannot be an alias SKU. Zentail has the ability to differentiate between "assembled quantity" (that is, the pre-packaged quantity at an FBA warehouse) and your Kit Quantity (that is, the quantity inferred from the kit contents). We're able to pull in FBA inventory for this SKU while setting the non-FBA warehouse equal to the quantity from the "reference" SKU. In this example, Sku_abc will tell Amazon that there are 31 units available for the merchant-fulfilled version of this SKU (presumably Sku_abc+MF+). This is because Zentail will sum the available kit content quantity from Sku_def and assembled quantity in Warehouse1 for Sku_abc (20 +`10 + 1). Zentail does not need to tell Amazon how much inventory is in stock for the FBA version of the SKU, so SKU_abc will still show 5 units in FBA on your Seller Central.